The 2012 movie Looper generated a ton of attention. It arguably launched Rian Johnson into the stratosphere as the sci-fi film was one of that year’s most engaging, smart, and entertaining products – which probably is the reason Johnson will be directing a little film called Star Wars Episode VIII. You’ll probably hear more about that in a while. Hey, we were the site that brought you the details on Grown Ups 3, National Treasure 3, Jumper 2, Hancock 2, and so it’s should be no surprise that we know all about the sequel to Looper: LOOPER 2, LOOPING BACK TO THE FUTURE! One of the central plot devices in Looper is time-travel but I suspect there’s more to it, hence my finally revealed LOOPER THEORY! It delves into the truth about Looper, tells you why there will be a Looper 2, what the Looper 2 plot will be, and more. First though, we have to look at the true beginnings. Oh, and you must accept once central, indisputable premise: everything you see on screen is actual real. The are no movies, just documentaries. You’re familiar with the actor named Joseph Gordon-Levitt, star of Looper. 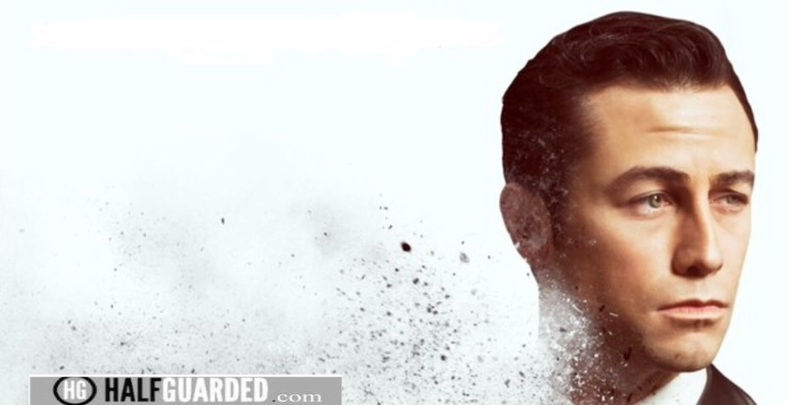 Obviously Looper 2 will star Joseph Gordon-Levitt. But there’s more to it. See, he’s been playing this role for a long, long time now. It all started when JGL first came to earth – yes, came to earth: the man is an alien. He first appears to us as a long-haired alien on 3rd Rock From The Sun. Despite their being no evidence that his alien brain was that of a child, he was forced to play the role of awkward teenager. He would bumble around, not be great with girls, trying to grow and learn to make connections. As an alien, this was all but an impossible task, but one which he embraced nonetheless. 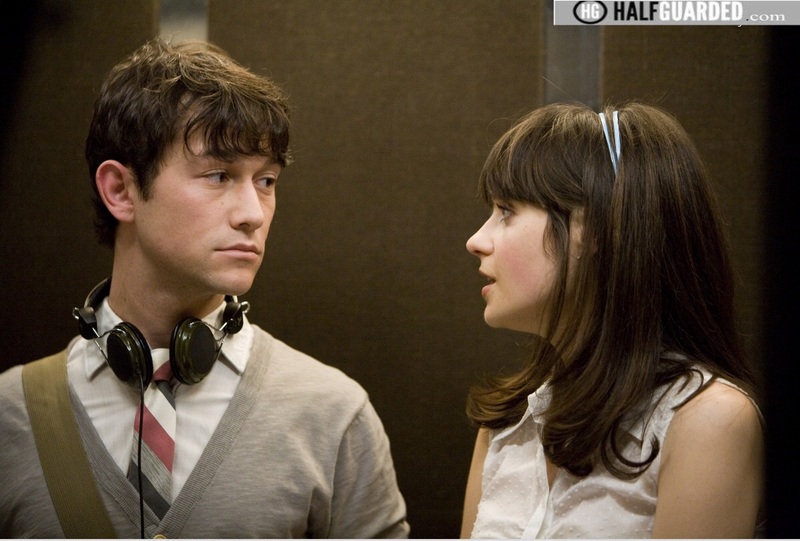 This awkward inability to fully connect came to the forefront in 500 Days of Summer where we meet the unknown cast member from the Looper Sequel: Zooey Deschanel. Portrayed as this free spirited pixie type, JGL falls in love with her. But he falls in love with her almost too quickly. It isn’t a real love, one built on a solid foundation, but rather his impression of what love must be: infatuation. Hence why, even after she moves on, he cannot. His alien brain cannot figure out why the connection didn’t work. Bruce Willis will also be part of the Looper sequel cast because he kinda must be in order for it to work. 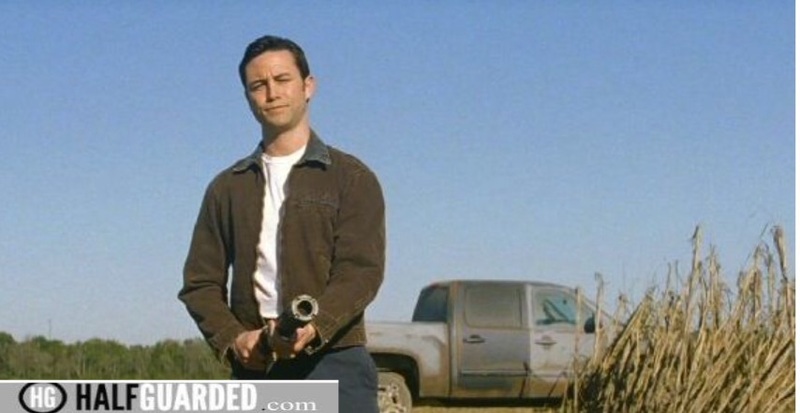 Besides, what is the on-screen motivation for JGL’s character in the first Looper? Love. He wants to do anything at all – even murder a child – to keep the love he’d found. We all have loved ones, but few of us would risk traveling through time, doing who knows what kind of damage to the universe itself, all for a woman – unless you were an alien who never learned how to process emotions. 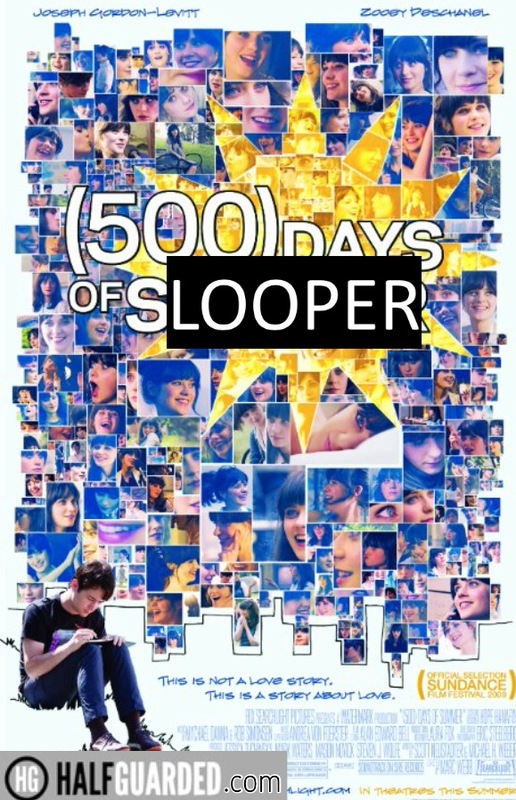 Just like in 500 Days of Summer. Simple, we look at the other motivations and all too convenient reasons for why Looper 2 will debut in 2016 – the time is simply right. What does a man who has had his heart broken do? A man might drink a lot, or cry, or any other number of emotional responses. An alien? He would respond without emotion, instead focusing on whatever “rational” idea he can come up with. Hence why JGL becomes a cop. 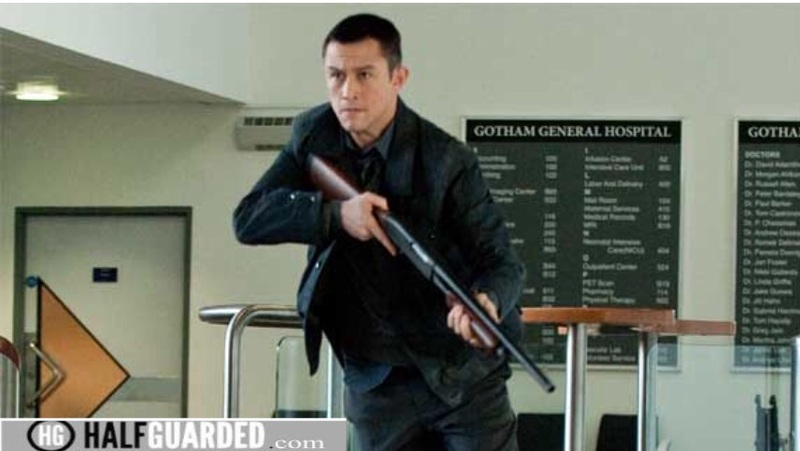 In The Dark Knight Rises, JGL is an orphan – hmm… Why would he be an orphan? How many well-adjusted orphans are there? The only other orphan we know of in the Batman world is Batman himself, a psycho in leather who punches people. No, JGL is NOT an orphan at all, he simply uses that as a perfect cover for his alien heritage. And so he uses this orphan cover to become a cop because cops make the wrong into the right. Instead of love, now he is looking at the bigger picture. He found himself feeling emotions in 500 Days of Summer, but being an alien is unable to process them, so instead he turns outward. All of his attention is strictly on “protecting” people. It is through these actions that JGL, alien at large, first starts to understand the world. This is, in many respects, the beginning of Looper. He sees a man he barely knows “sacrifice” his life to save others. For a rational being, this can’t make sense. There would have had to be another way (and in fact was: the autopilot worked – so JGL’s alien instincts were correct). The Looper 2 Trailer is but a dream? Enter Inception. 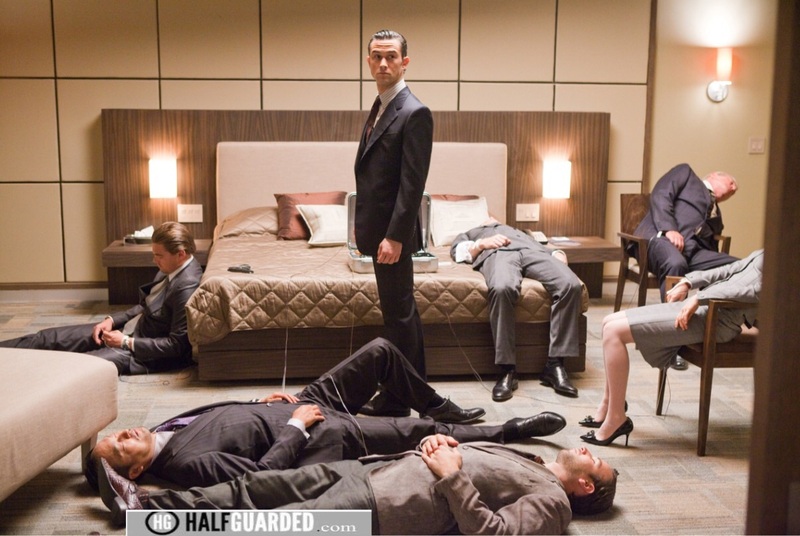 The plot of Inception is laughable: the government/army invents a way for people to share dreams with one another, build entire worlds within, etc… No way. There’s nothing in the movie to indicate that this is set in the future, leaving us to rightfully conclude that it is in our present time. Do you see flying cars? Or hoverboards? Or the Cubs winning the World Series? No. The only thing “advanced” is this magic device that lets us dream together. That’s too much for a human mind – it is something that could only come from an alien. The X-Files taught us all that there are no coincidences. JGL, having become confused by love and self sacrifice, uses his advanced alien technology to ingeniously get to know the human race: through literally combining his mind with ours! After being able to share dreams with human beings, JGL finally begins to accept what it is like to be human. During one sequence in particular, we see the drastic growth of the Looper 2 Star when he leans in and kisses a woman – but then is able to move away. It was just a kiss. It was a moment. He didn’t spend 500 days fawning over it. He’d grown. He was now a man. No doubt, Looper 2 will be written by Rian Johnson. He wrote the first one and obviously knows the growth of JGL from 3rd Rock to Looper. And what growth it was. Looper is set a bit in the future yet somehow JGL hasn’t aged? Why? Alien, duh. And what does he finally learn? What drives him in Looper? Love. True love. The deep, crazy love that makes a man do crazy things. And let’s not forget time travel. Who do you think invented that? Human or alien? LOOPER 2 RELEASE DATE IS..
How, exactly, did Looper resolve itself? With JGL doing the one thing he’d learn a good guy does: sacrifice himself. Just as Batman “killed” himself, so too does JGL at the end of Looper, all in order to save people who he does not know or love. He is a pure hero. As an alien, he knows that the paradoxical nature of killing yourself to prevent yourself from doing something but that the only reason you were ever in position to kill yourself is because of those actions set in motion by your future self is thusly impossible. What happens? Alternate timeline. The Looper 2 theory is simple: he has knowingly created an alternate timeline, one where he will end up preventing anything from ever being, because the lessons he’s learned during his journey are simple: love is fleeting and can make you do maddening things, people’s dreams are sometimes too big and powerful, and time travel is too dangerous. In Looper 2, he will stop time travel from ever being invented and thus live out his days anonymously. He will finally just be a normal person. Grown Ups 3 (2020) is coming? The answer is Of Course. Should Justin Bieber magically be in Zoolander 3? (2018) Movie Trailer, Release Date & More – Will there be a Zoolander 3? Pingback: The Martian 2 (2017) The Martian Sequel news & rumors!